The team in Malawi operates from Blantyre. Islam is becoming more and more established in this country, but the doors are still wide open for the Gospel. Please pray that it will remain like this. The attendance of evangelistic meetings during outreaches is very good. 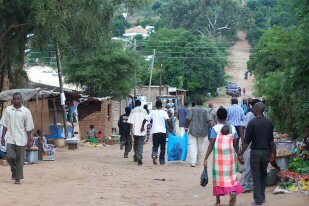 Please pray with us for God’s blessing on Malawi and that many people will come to the Lord Jesus. Children are also very eager to attend the regular Bible Clubs and other meetings. The team is also frequently involved in outreaches in Mozambique.